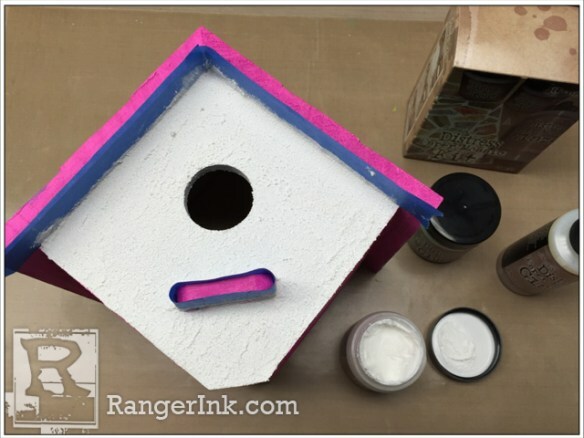 Step 1: Working on the Non-Stick Craft Sheet, paint birdhouse with a layer of White Gesso. Let dry. 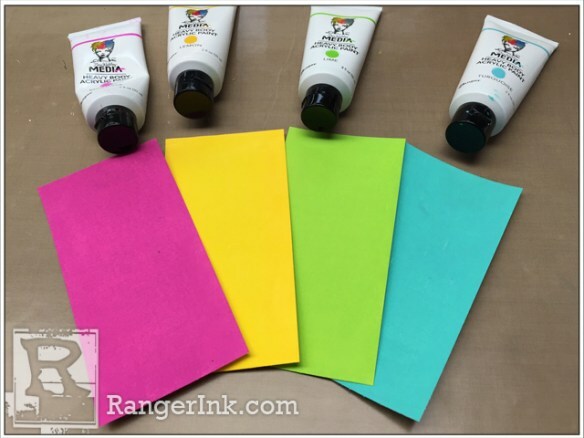 Step 2: Cut four pieces of Mixed Media Cardstock to 3” x 6”. 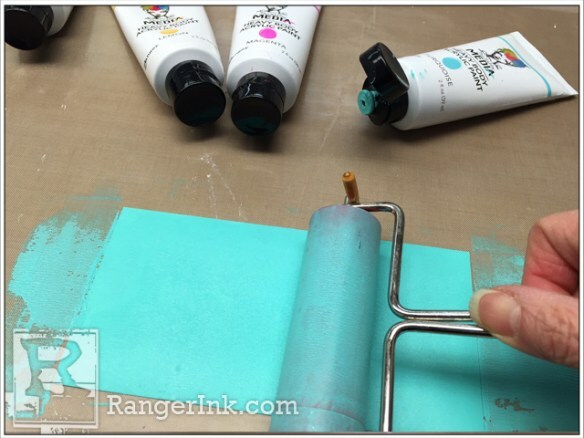 Place a small dot of Turquoise Paint onto one of the pieces of Mixed Media Cardstock and use the Brayer to color the entire piece. 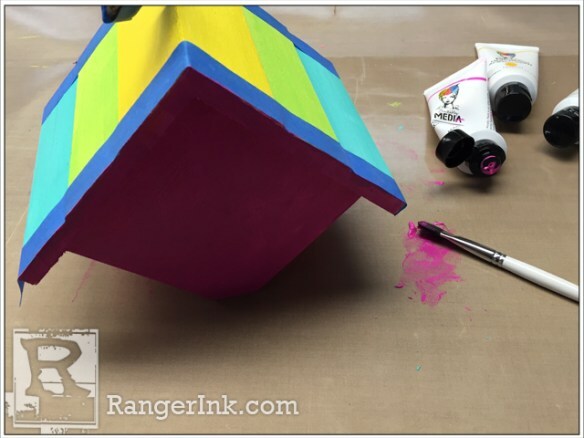 Step 3: Repeat with Magenta, Lemon and Lime Paint. Set aside to dry. 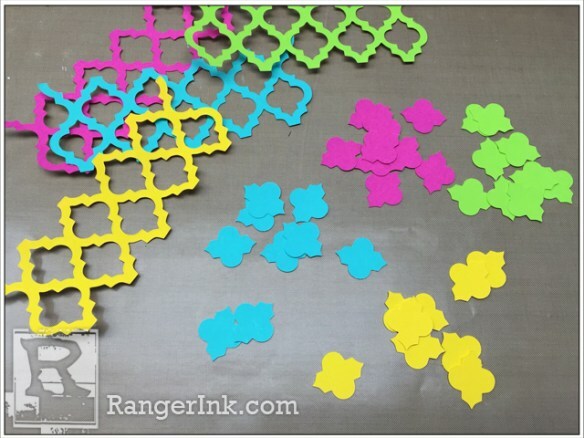 Step 4: Once painted cardstock is dry, run each piece through the Vagabond Machine with the trellis die. Reserve two of the negative frameworks to use as template to adhere the mosaic tiles later on. 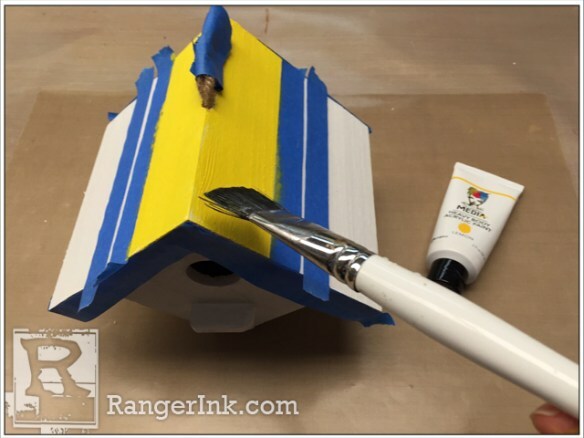 Step 5: Use masking tape to mask the center shingles on the roof. 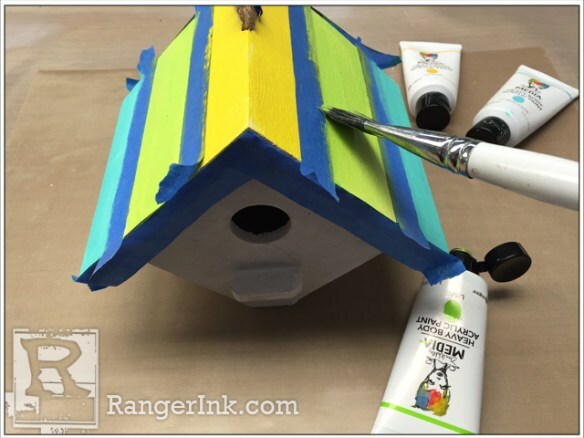 Paint the roof peak with Lemon Paint. 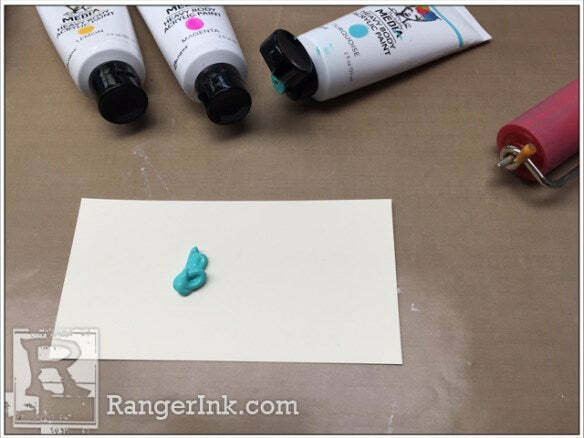 Step 6: Paint the bottom shingle with Turquoise Paint. Let dry. 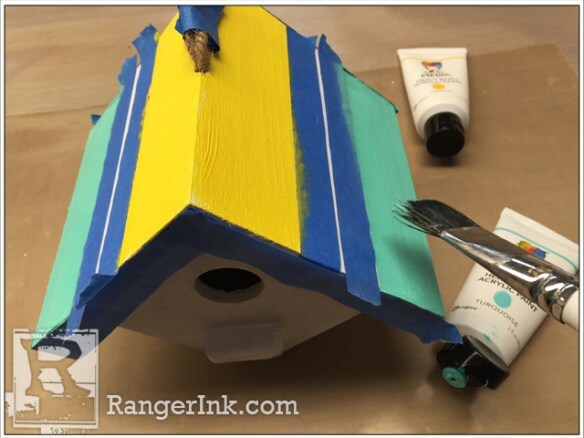 Step 7: Remove the existing tape and retape to expose the center roof shingles. 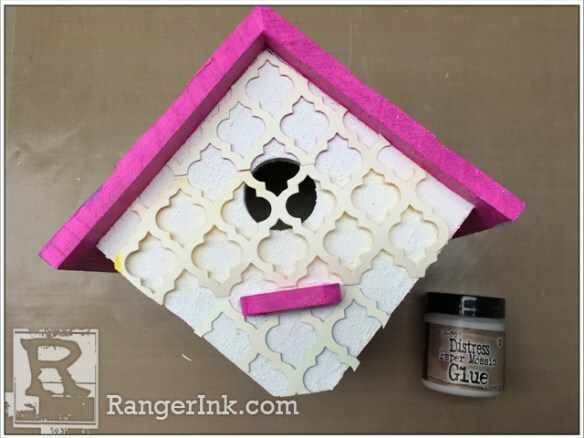 Paint center shingles with Lime Paint. Let dry. 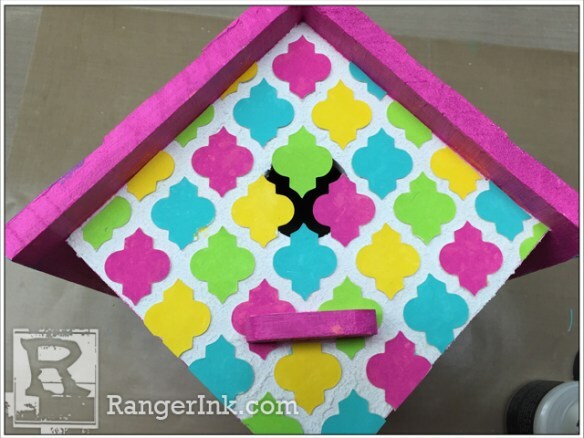 Step 8: Mask off the rooftop edges, top front and top back of the birdhouse. 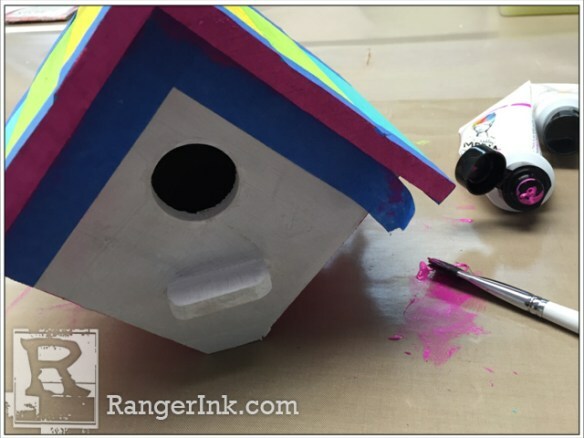 Paint the trim, ledge by the entryway, sides and back of the birdhouse with Magenta Paint. Let dry. Step 9: Mask the ledge and under the trim. 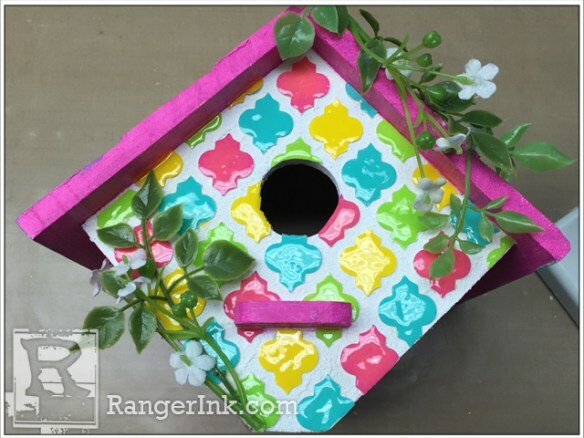 Paint front with Paper Mosaic Grout. Let dry. 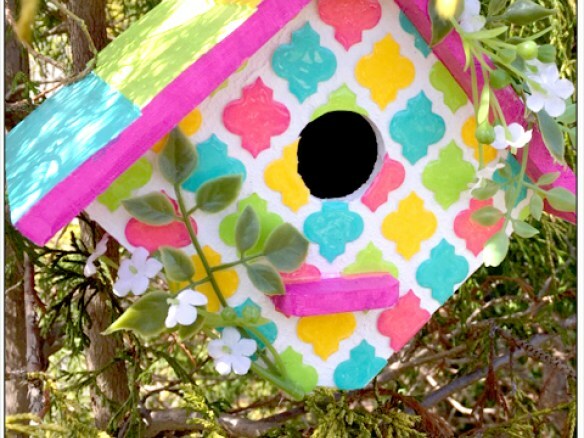 Step 10: Find the reserved frameworks and use two pieces to make a template that will fit on the front of the birdhouse. (Note: There is no need to adhere the template. 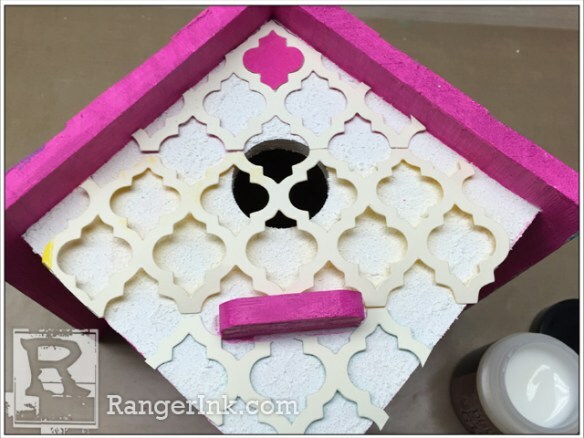 If you make it flush it will stay in place).Using the frameworks template as a guide, adhere the painted tiles with the Distress Paper Mosaic Glue to the front of the birdhouse. Step 11: Remove the template after you have finished adhering all the tiles. 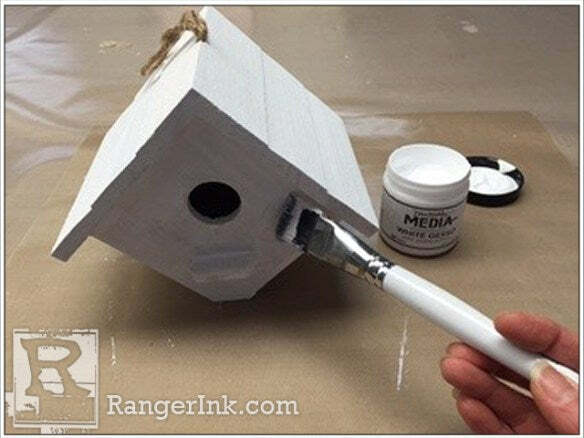 Just in case you got some glue on the template, you want to remove it before it dries. Now let dry. 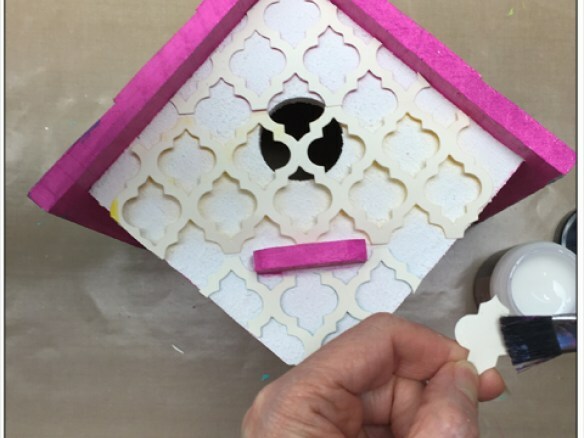 Step 12: Trim excess tiles from the birdhouse opening and apply Paper Mosaic Glaze on top of each tile. Let dry. 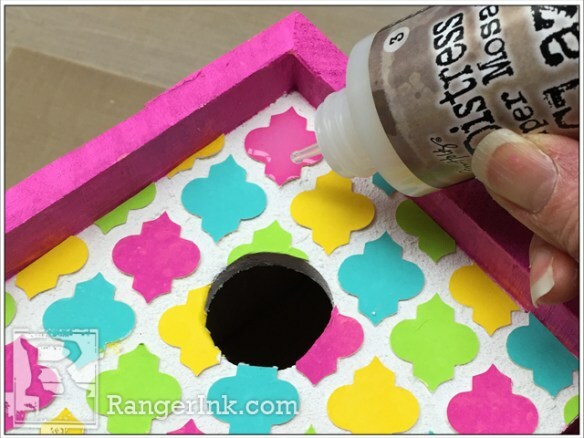 Step 13: Glue on some faux greenery using a hot glue gun.